On Friday, November 3, 2017, the County of Orange will begin active enforcement of public hours along the recreational Santa Ana River Trail (SART) that runs adjacent to the Santa Ana River flood control channel. Orange County officials announced plans Monday to shut down most of the Santa Ana River bank to overnight homeless camps, but said the largest camp, near Angel Stadium and home to over 400 people, will stay open for the time being. Orange County District Attorney Tony Rackauckas obtained a $13.9 million settlement in a civil lawsuit against General Motors LLC alleging GM endangered motorists and the public by intentionally concealing serious safety defects in GM vehicles to avoid the cost of a recall or replacing defective parts. Orange County’s first veterans cemetery was dedicated Friday at what is now strawberry fields near the 5 and 405 interchange, marking a milestone in a battle fought by county veterans for over 15 years. 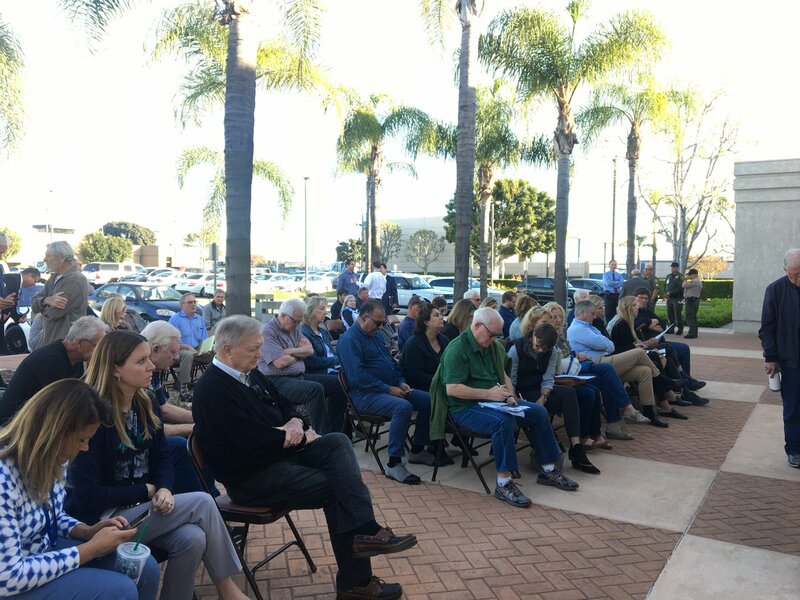 “If you push people out you will end up dealing with it in the city,” Supervisor Shawn Nelson told a community meeting in Anaheim last week. The city of Irvine and developer FivePoint Holdings are sponsoring a flag raising and dedication ceremony today for Orange County’s first veterans cemetery on what are now strawberry fields next to the 5 and 405 freeway interchange. A formal multi-faceted Williams Complaint was given to NMUSD trustees tonight by an activist group charging the District’s lack of student textbooks or instructional materials required by law for each student.